Sterling silver Claddagh necklace a green enamel heart with a Trinity knot along with marcasite stones. 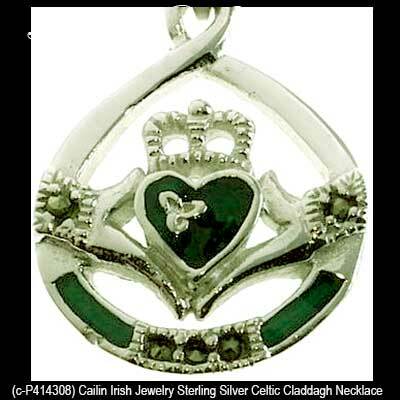 This sterling silver Claddagh pendant features green enamel accenting in Trinity knot enhanced heart along with the area below the hands. The Claddagh necklace is further enhanced with marcasite stone accenting and measures 5/8" wide x 7/8" tall, including the jump ring and the chain bail. 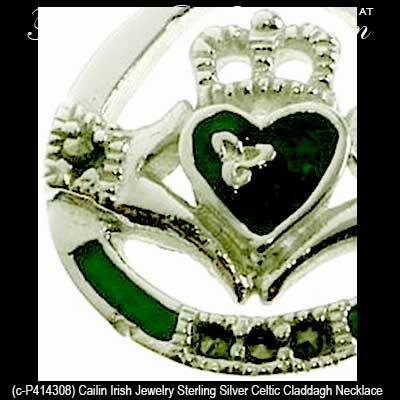 The Celtic Claddagh necklace includes a 16" long sterling silver chain with a 2" extender. 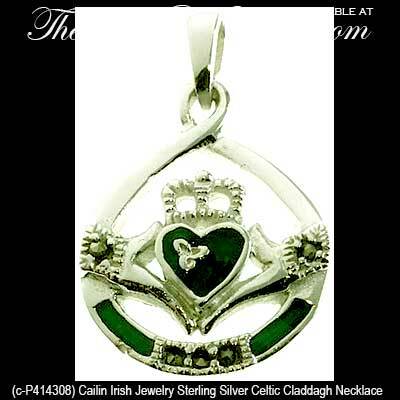 The Irish necklace is made by Cailin Jewelry in Co. Kildare, Ireland and it is gift boxed with Celtic knot and Claddagh history cards that are complements of The Irish Gift House. 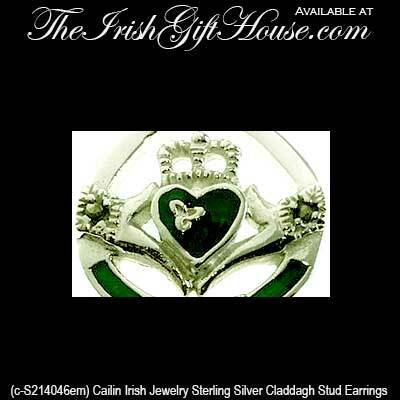 Claddagh stud earrings are sterling silver designs that are enhanced with marcasite stones along with green enamel accenting.